How do you play consistent, reliable and stress free golf? Wouldn’t it be great if you could “tap into” your A-game and play really well in those important rounds? You know the key to better golf is the mind. You’ve heard that 90% of golf is between the ears. But why do you try and improve your golf game by spending so much time thinking about your swing? This over emphasis on thinking about technique is one of the most destructive elements in the game. A rigid routine is useless. And many of those teaching routine are strict about it. … A system that allows you to play with confidence (because you know you’re on the right track) + let your own personality and style shine through. This takes a look at the critical elements of your golf game, particularly the mental game, in greater detail. I look at the fundamentals of your routine and dissect what some of the best players are doing that you’re definitely not. 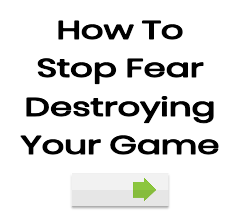 And finally, I show you a step-by-step method so you can apply this to your game. Integrating new stuff with your game. All the latest technology, equipment and the proliferation of instruction but is any of it really helping you? Why are you still frustrated? – perform your best out on the golf course. This is where it truly matters and what the game is about. If you’re able to play well in practice, but stuff up on the course, then what’s the point? The critical part of your routine is to know when to think (and when not to), how to take practice swings and the best way to “decide” on what it is you’re trying to do. Almost nobody gets this (because most of us are worried about our swing). But get it right, and your routine and golf game flows. You’ll play better naturally and you’ll wonder why you ever made golf so hard. Is all of this possible? There’s also supporting videos and documentation that walks you through the main ideas in the book. All day-to-day skills reach a level of mastery. We can perform them without stress or worry and this is exactly how we’re designed to work. But our golf game never reaches any sort of mastery because we’re never comfortable enough to trust our inbuilt learning mechanism. It’s a shame because golf really is no different from any other skill (driving a car, riding a bike, throwing a ball, typing etc). Are you able to reach a level of mastery with your golf game? Also comes with supporting material. Books are great. You can learn lots from them and they’ll always have their place. But learning happens more effectively when we ignite all our senses. So this product utilises the written word, imagery, videos and audio. Not only do you get more bang for your buck, but you’ll learn more quickly too. You learn what you’re doing incorrectly and then shown HOW to make meaningful correction. Plus, this product has evolved over time. It started out as a simple PDF and grown. And it has grown thans to the feedback of my customers. I’ve answered their most pressing questions and created more content to help ALL golfers get more from their game. So my Simple Improvement System is always evolving and improving overtime. I’m not into hype. Hate it and can’t stand all the crap that abounds the Internet world. So don’t take my word on what this package will do for you. Consume the content, put it into action and see what it does for your game. If you don’t get a spark, a moment of inspiration, an insight or something remarkable then I’ll refund your purchase. If this package isn’t what you expected then I’ll gladly refund the full purchase price. Just send me an email you’ll get an immediate refund. Also receive a video of my winning swing and routine. I walk you through what I do and show you some of the key steps to playing consistent golf.